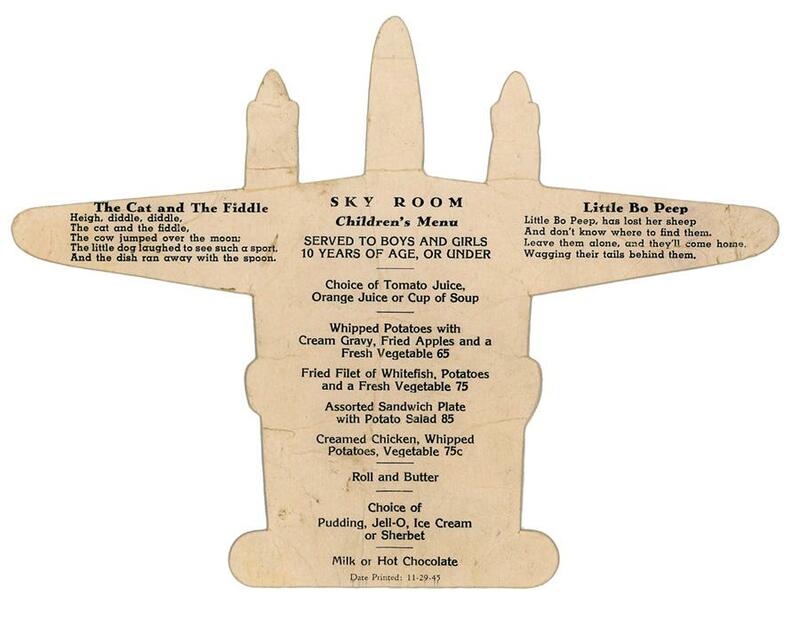 Thought you all might find this die cut P-38 kids menu interesting. 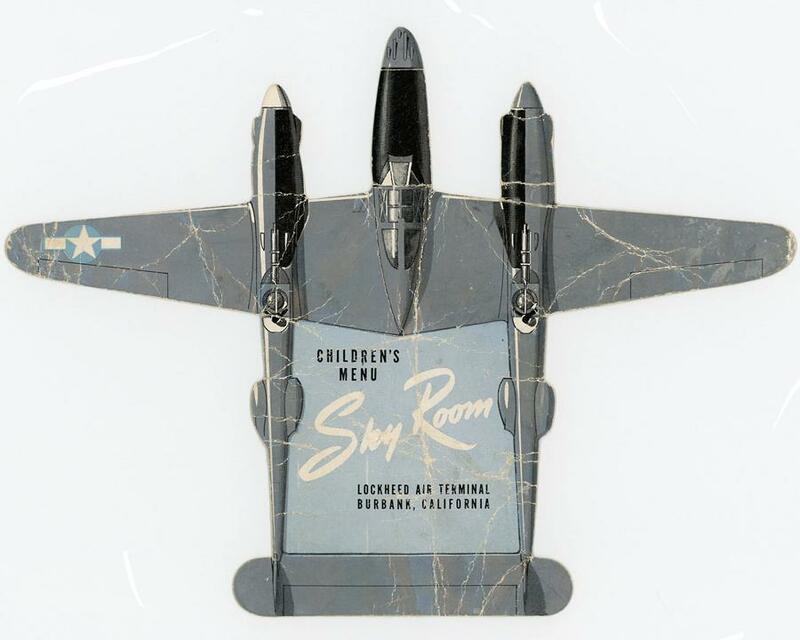 Printed on both sides with metallic silver ink and dated 11-29-1945, this was an option for families who patronized the Sky Room Café, a restaurant and bar once located inside the Lockheed Air Terminal – now known as Hollywood Burbank Airport. The menu was in pretty bad shape when it was given to me 20 years ago by a neighbor who was a master welder at Lockheed for some 30 years. I just stumbled across it again, safely pressed between the pages in a P-38 reference book. 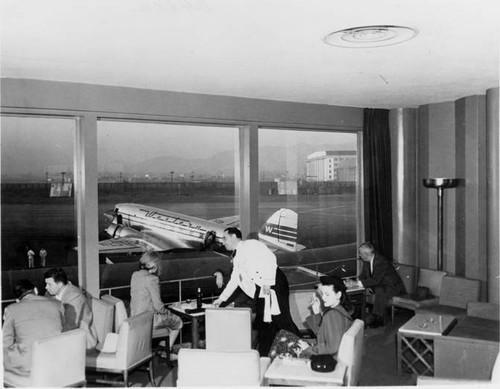 The black and white photo is an interior shot of the Sky Room, date unknown. 5 responses to 1945 P-38 Children’s Menu – no kidding! Quite the piece of history ya got there. Impressive collectible. Fantastic Eric great to see this! Absolutely THE coolest kid’s menu I’ve ever seen! Thanks for sharing it with us, Eric!